Let’s be honest; none of us like getting up in the morning. If we could, we would sleep for as long as possible and continue to bask in the cozy blanket burrito we make for ourselves on a nightly basis. Of course, most of us have places to be and people to see, which means that we have to wake ourselves up and get on with our day. So, how do you wake up in the morning? Do you have an alarm clock? Do you have an alarm radio? Do you have a pet rooster? If you have any of the above and still struggle to wake up, here’s how a sunlight alarm clock can help you bounce out of bed. What is a sunlight alarm clock? To truly understand the benefits of a sunlight alarm clock, we need to understand what a sunlight alarm clock is. These clocks work a little differently to normal alarm clocks, as they do not just rely on a loud and irritating sound. Instead, these clocks are designed to replicate a sunrise, in the hope that it will wake your body up naturally. You won’t be jolted out of a deep sleep, but you will instead wake up gradually before you’re supposed to. 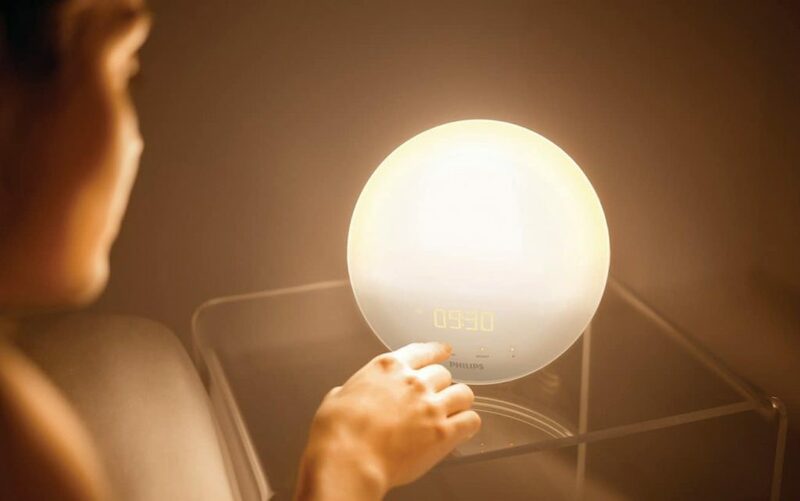 Sunlight alarm clocks have become hugely popular over the last few years, but there are still skeptics out there. Why not try it for yourself? 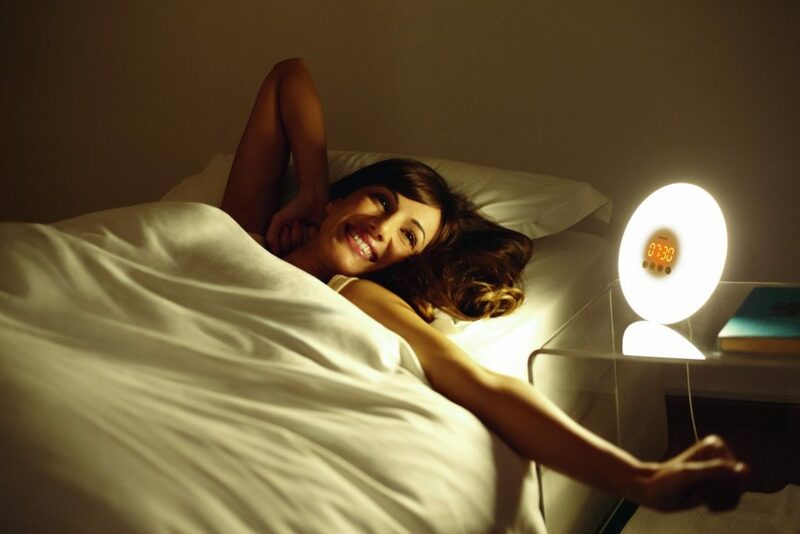 The biggest draw of a sunlight alarm clock is that it has proved highly effective for those who suffer from SAD (Seasonal Affective Disorder.) This condition is actually a type of depression, that reaches its peak during the dark and colder winter months. With little sunlight, the body struggles to cope without a sufficient amount of melatonin and cortisol. 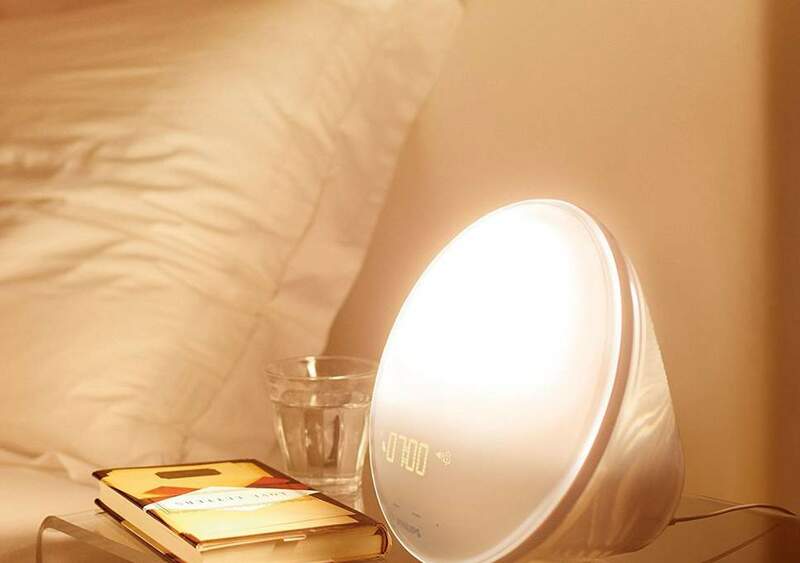 A sunlight alarm clock allows people the chance to add more of this sunlight into their lives, which boosts their mood and helps get rid of SAD symptoms. As if that wasn’t cool enough, these alarm clocks also help maintain your circadian rhythm. This rhythm determines our sleep patterns, which ultimately affect our mood, our cognitive function, our memory, and more. If you are pulled out of a deep sleep without any warning (like with a normal alarm clock), this can drastically impact your circadian rhythm and leave you feeling lethargic and confused. Because a sunlight alarm clock wakes you up gradually and naturally, usually around 30-60 minutes before you’re supposed to wake up, you are slowly but surely woken up from this deep sleep. This keeps your circadian rhythms intact, and leaves you with enough energy to jump out of bed to grab the day with both hands. Plus, it can help cure depression and Seasonal Affective Disorder. What could be better than that? If you struggle to wake up with any gusto in the morning, it may be time to ditch your alarm clock once and for all. Grab yourself a sunlight alarm clock to reap the benefits and wake up with a smile on your face.